One Island East comprises 59 office floors with a typical floor plate of 2,300 square meters (24,760 square feet). 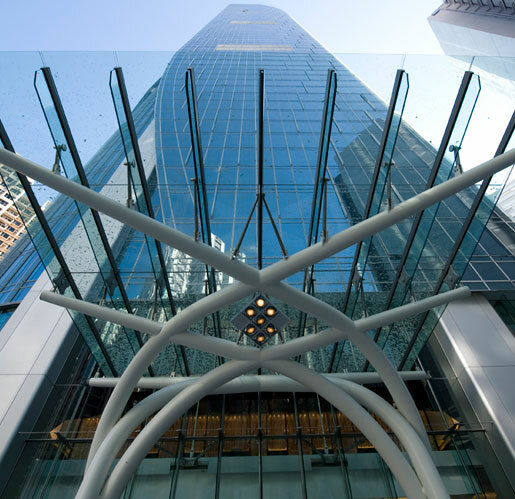 One Island East is the landmark of Taikoo Place, recognized as one of the Hong Kong’s best planned business hubs. 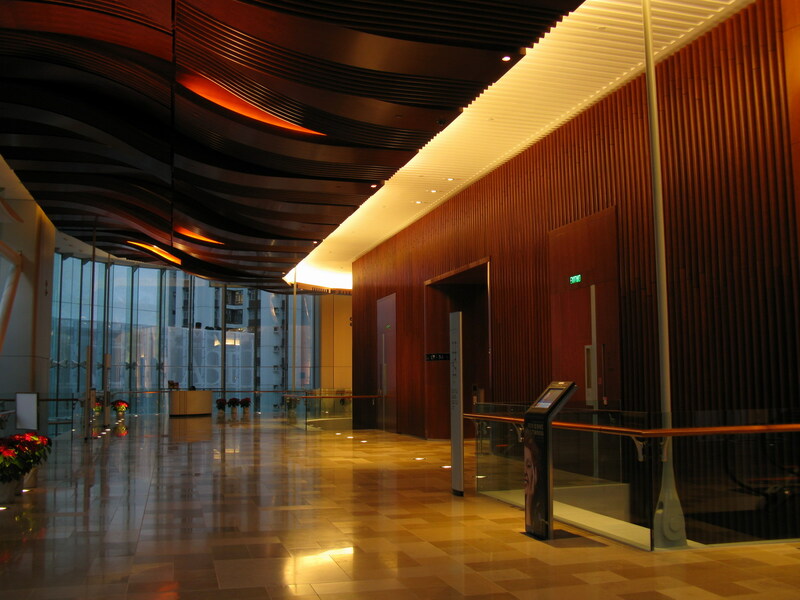 The basic form of the building is a square plan with rounded corners and a central core. The two corners facing north and south open up at the top floors to address the Harbor view. 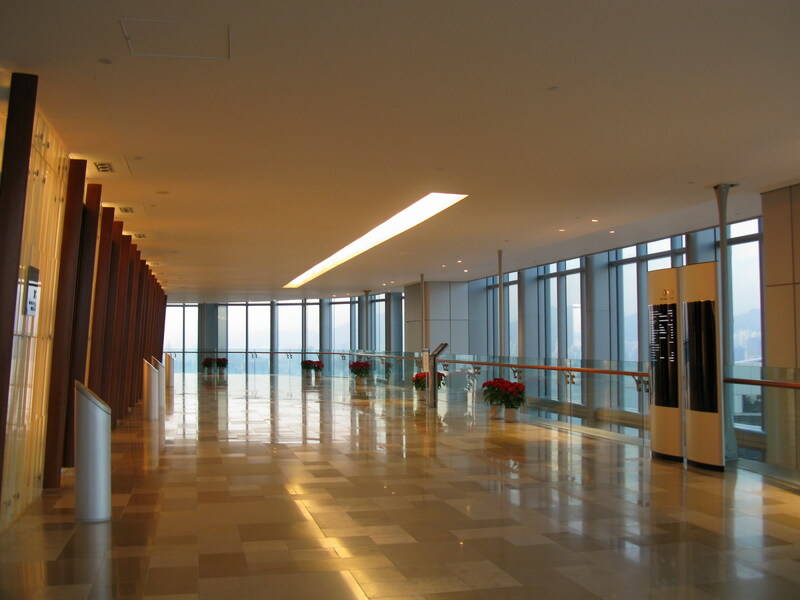 At the base, the two corners facing east and west open up to address the open space. The edges of the four façades sail beyond, creating a floating effect and giving lightness to the building. Architectural fins are introduced on the façade in a staggered pattern to add texture and scale. Without a podium structure, the tower sits freely in front of a large landscaped open space to the east. 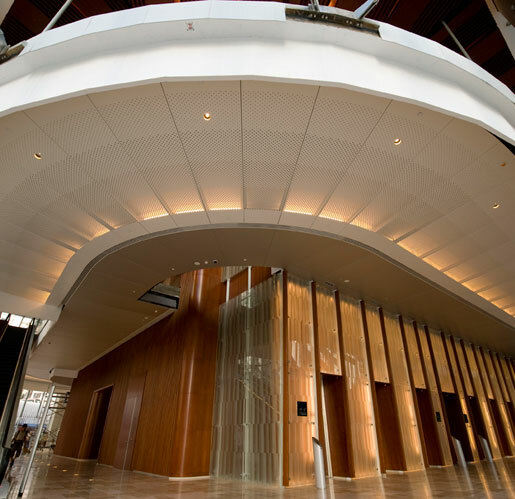 The canopy at the porte cohere is specially designed as a piece of sculpture. The landscaped area beyond is designed to have platforms at different levels incorporating water features. This urban landscape gives an appropriate scale as a forecourt to the building and provides a leisure space for both the enjoyment of office workers and for the neighborhood. 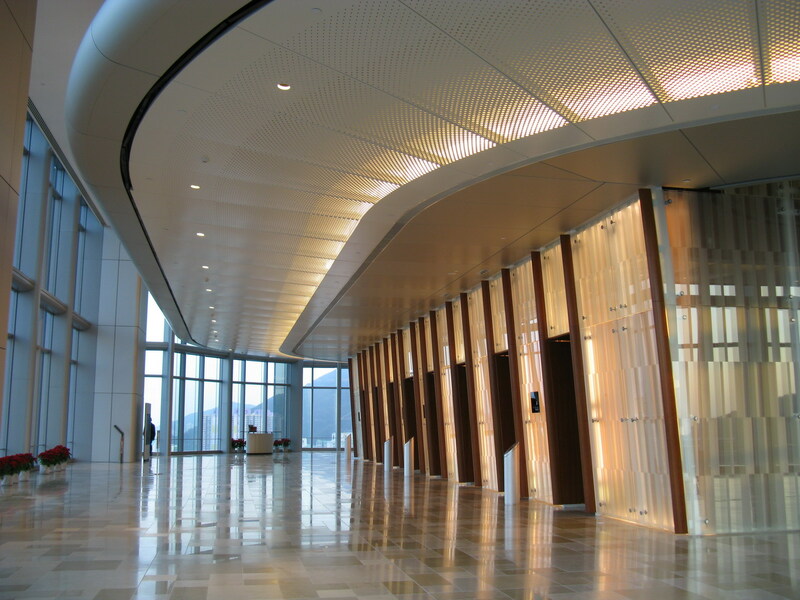 The upper main lobby is connected to the rest of the office complex at TaiKoo Place via a bridge at the northwest corner. Through a well-established system of link bridges at the existing podium level, pedestrians can gain convenient access to the MTR Quarry Bay Station. 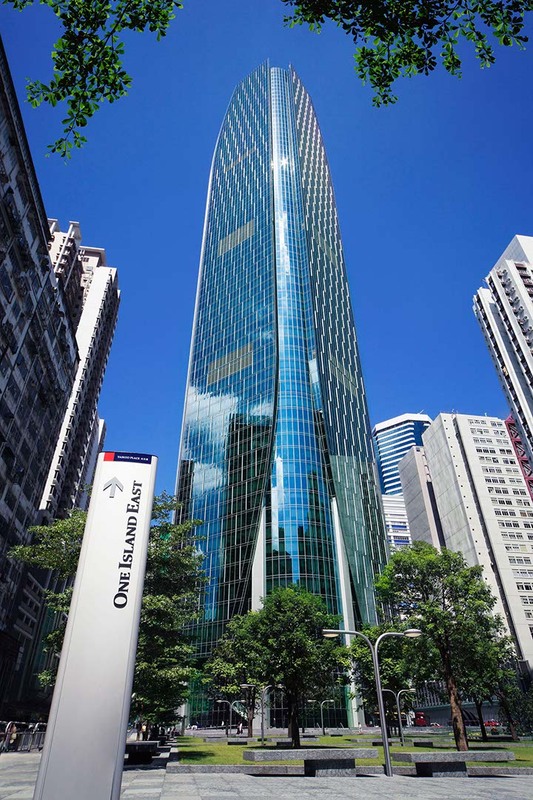 The One Island East building not only energizes the whole of TaiKoo Place, it also plays a leading role in transforming the neighborhood into a better environment.